Police patrol the area outside Marjory Stoneman Douglas High School following a school shooting incident in Parkland, Florida, Feb. 15, 2018. The massacre at a Florida high school is again raising concerns about whether the FBI missed signs that might have stopped a mass shooting. Last fall, a Mississippi bail bondsman and video blogger noticed a comment on one of his YouTube videos that said, “I'm going to be a professional school shooter.” He immediately reported it to YouTube and the FBI and the next day two agents came to his office to take a printout of the comment and ask him whether he knew anything about the person who posted it. Although the commenter's username was “Nikolas Cruz” - the same name as the 19-year-old man who authorities say killed 17 people at his former high school on Wednesday - the FBI couldn't identify the poster, Robert Lasky, the special agent in charge of the FBI office in Miami, said Thursday. Federal agents interviewed the man who reported the comment and searched public records databases, actions in line with those done during an FBI assessment - the lowest level, least intrusive and most elementary stage of an FBI inquiry - but came up short. The FBI says it still hasn't conclusively linked the account to the alleged shooter. 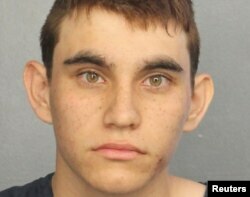 Nikolas Cruz appears in a police booking photo after being charged with 17 counts of premeditated murder following a Parkland school shooting, at Broward County Jail in Fort Lauderdale, Florida, Feb. 15, 2018. It was the latest attack to raise questions about whether people who once caught the attention of law enforcement should have remained on the FBI's radar. In the last two years, a man who massacred 49 people at an Orlando nightclub, another who set off bombs in the streets of New York City and a third who gunned down travelers at a Florida airport, had each been looked at by federal agents but later determined not to warrant continued law enforcement scrutiny. FBI assessments are routinely opened after agents receive a tip, which could be sparked by something as simple as noticing odd activity in a neighbor's garage or a classmate's comments. Agents routinely face a challenge of sifting through which of the tens of thousands of tips received every year - and more than 10,000 assessments that are opened - could yield a viable threat. The questions come as the FBI is already under intense scrutiny and facing unprecedented attack from President Donald Trump and some congressional Republicans, who have seized on what they say are signs of anti-Trump bias, particularly as it relates to special counsel Robert Mueller's Russia probe. But it's not clear the agency dropped the ball in this case, Hosko said. 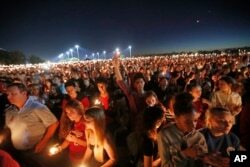 People hold up candles during a vigil for the victims of Wednesday's shooting at Marjory Stoneman Douglas High School, in Parkland, Florida, Feb. 15, 2018. “It's a tricky situation because sometimes you get information regarding individuals and they may be just showing off, blustering,” said Herbert Cousins Jr., a retired FBI special agent in charge. A vague, uncorroborated threat alone may not be enough to proceed to the next level of investigation, according to Jeffrey Ringel, a former FBI agent and Joint Terrorism Task force supervisor who now works for the Soufan Group, a private security firm. Many assessments are closed within days or weeks when the FBI concludes there's no criminal or national security threat, or basis for continued scrutiny. The system is meant to ensure that a person who has not broken the law does not remain under perpetual scrutiny on a mere hunch - and that the FBI can reserve its scarce resources for true threats. Had he had pledged his allegiance to the Islamic state, for example, investigators might have had enough evidence to proceed with a more intrusive probe.